The first Hornisse (eventually changed to Nashorn in 1944) rolled off the line at Alkett in February of 1943. The first two battalions to be formed, the s.Pz.Jäg.Abt. 560 & s.Pz.Jäg.Abt. 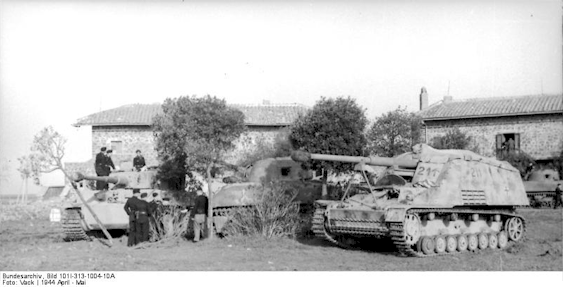 655 received their final allocation of Hornisse in May of 1943. these were formed with temporary and initial versions of Hornisse K.St.N with units being formed in August using newer tables. 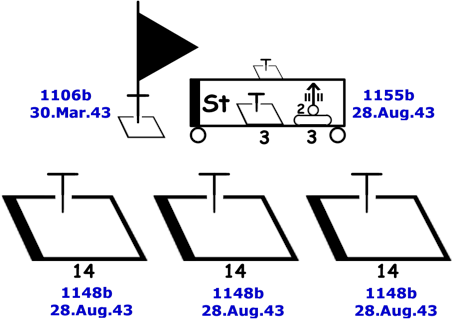 In August replacement tables for the HQ's company and Tank Destroyer company were issued as indicated below. This set of tables are represented in the orginizational chart below as well as the K.St.N. Set for sale. The K.St.N. set has 3 tables, 16 pages and is 27 MB. We are providing a realated set of documents below, these are the orders forming 4 Hornisse units. These units were formed using some variation of the K.St.N. mentioned abvove.